Edhatters: What suggestions do you have for a smallish restaurant in SB that is locally owned and operated and has a fairly healthy menu? I have some visitors coming to town who want to go somewhere different (they've been to the usual popular places). Where can I get the entire sole and heel of my leather boots replaced in Santa Barbara? And what's the approximate cost? Looking for someone who has experience teaching (informal/colloquial) Arabic to kids (in Santa Barbara/Goleta). Any recommendations? We need to reupholster two antique chairs. Any recommendations on where/who is the best place without losing our shirt? Thanks so much! I need a licensed tiler who can tile a bathroom floor AND waterproof and put an anti-fracture membrane in. The floor is small approx. 7x6 feet. It needs to be demo'd & tiled/sealed in the next 2 weeks, if possible! I have a 2003 Jeep, and have always wondered, is there a Jeep specialist in town? Anybody in Edhatland have an opinion? Thanks! I need help finding someone to install dormer vents and a solar fan in my attic. I need someone who knows what they are doing to install two dormer vents and a solar fan that will come on when needed. Thanks for your help! 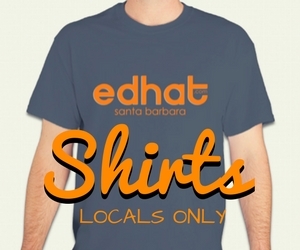 Can edhatters help me come up with a list of local dive bars in the Goleta and Santa Barbara area? I was hoping to inquire the Edhat community about finding a good lawyer. My particular situation would involve litigation against the city, specifically in regards to an unethical workplace where emotional distress occurs and illegal activity happens. We're looking to turn our front lawn into a more drought-friendly environment. Which landscape architect can offer some affordable yet creative options? I'm looking to take some friends visiting from out of town to some local craft breweries. Which ones would you recommend?